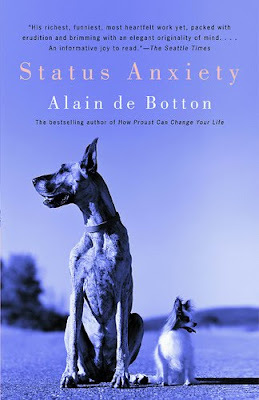 Status Anxiety by Alain De Botton. I can always appreciate this man's deep analysis on our everyday internal turmoils that remain surpressed and undiscovered. Below is a short excerpt from the book, as well as Part 1 of the accompanying series documentary that I will be featuring at the newsgallery. Have a watch and a read. Every adult life could be said to be defined by two great love stories. The first-the story of our quest for sexual love-is well known and well charted, its vagaries form the staple of music and literature, it is socially accepted and celebrated. The second-the story of our quest for love from the world-is a more secret and shameful tale. If mentioned, it tends to be in caustic, mocking terms, as something of interest chiefly to envious or deficient souls, or else the drive for status is interpreted in an economic sense alone. And yet this second love story is no less intense than the first, it is no less complicated, important or universal, and its setbacks are no less painful. There is heartbreak here too.